The difference that a year can make!! Last year, the hubs and I jumped head first into turning lawn into garden. It was a rocky road, with pretty much all clay soil, rabbits that loved green bean plants and trying to figure out how to water this area. After extra fencing to deter the deer and rabbits, and an amazing watering collection system we yielded pretty good results! 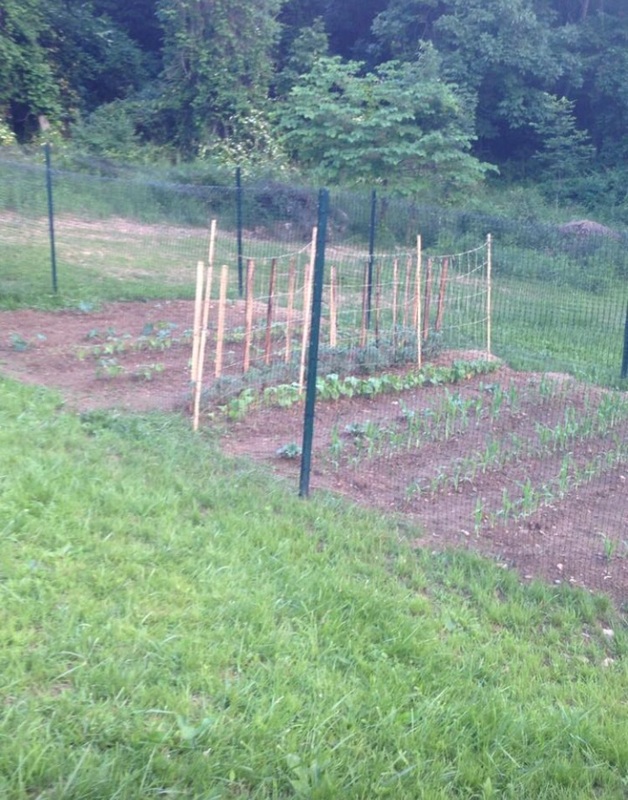 Below is the 2014 garden this time last year! 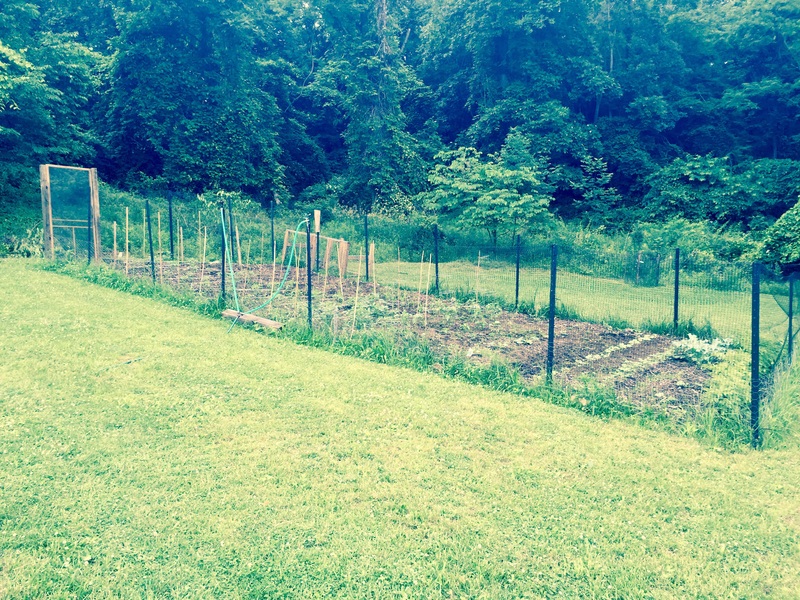 Thanks to the help of the hubs, we were able to expand the garden by nearly doubling it! We added a door so that I wasn’t falling into the garden from taking down the corner of the fence! And with such rainy weather, we haven’t even had to worry about watering! The tomato plants this year are huge compared to last and the green beans are doing much better! Below is the new and improved 2015 garden! We plan on doing a little more every year! Grow food, not lawns! !